Great programs and facilities are essential to a camp’s success, but the best camps are those with exceptional employees — staff members who understand and share the camp’s goals and make them come alive for campers. As your camp prepares to head into the busy summer season, it is critical to prioritize good hiring and have an effective orientation plan in place. On-site orientation typically spans five to seven days — or fewer — and includes everything from skills training to team building. Risk Reporter recently spoke with Greg Cronin, a camp consultant and staff trainer with more than 30 years of camp experience, about how to best prepare your staff members for the summer ahead. Risk Reporter: How can camps improve their hiring? Greg Cronin: Recognize how critical it is to your camp’s success. Whoever is hiring must be able to articulate the mission of your camp and have a careful, predetermined interview process. Hire for character, skills and intelligence but focus on character. You can’t teach that. Hire extra people. You’ll always have dropouts and this helps avoid poor, last-minute hires. Risk Reporter: You stressed using the months that fall between the actual hiring process and the day camp begins for orientation. Would you elaborate? Cronin: By the time staff members arrive at your camp, they should have a clear idea of your camp’s mission, what their role will be and what orientation will include. People buy into things they helped create. Connect staff members — both old and new — and start building a team before they arrive. Orientation isn’t just about sharing information — it’s about emotions, understanding your role and fitting in. Risk Reporter: What should happen on the first day of orientation? Cronin: Whoever hired staff members should be there to greet them, make people feel at ease and connected. Don’t start off with the swimming test. People have body issues, and they’re uncomfortable. Their first interaction with new co-workers shouldn’t be in their swimsuit. Make introductory activities inclusive, not skill-based. Keep it neutral. Don’t ask people to share personal information. There’s no comfort zone yet. Risk Reporter: What role should returning staff members play? Cronin: They’re a critical asset. Use them! Let them run activities, demonstrate skills and give tours. Encourage them to bond with new staff members. 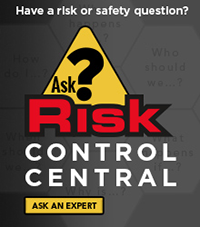 Risk Reporter: What are some general tips for sharing information? Cronin: Plan ahead. You have a lot of information to share in a short time, and you can’t wing it. Stress the ABCs: audience before content. Get away from the classroom lecture model — be interactive. This is hard work and takes preparation. Many people aren’t that experienced at this, but it’s critical to put in the time and energy. Professional organizations can be good resources. Pay attention and be aware of information overload. Risk Reporter: You mentioned that real training happens when campers arrive. Cronin: It’s all theoretical until then. Administrators must be extremely hands on during the first days to support and guide staff, especially new staff members. They’re uncertain and uncomfortable, and administrators must help them. Let staff know it’s OK to fail, so they’re not afraid to try something new.